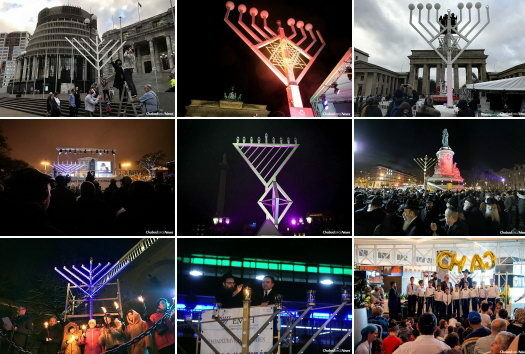 Public menorahs are in the process of being lit all over the world as part of the Chabad-Lubavitch Chanukah campaign in more than 100 countries and territories, including all 50 U.S. states. 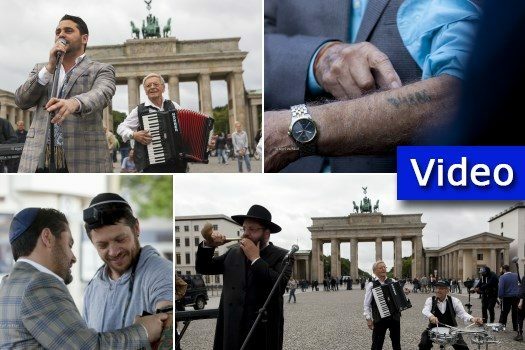 Some 15,000 oversized menorahs will be kindled in front of landmarks such as the White House, Mount Rushmore, the Eiffel Tower, the Brandenburg Gate and the Kremlin. If you can smell latkes frying in the air, it means Chnukah is here. 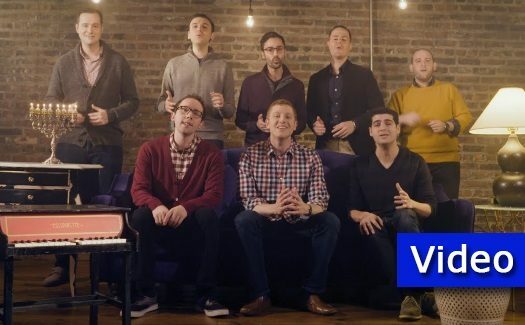 And if you needed another sign – that’s here too: A new music video from the Maccabeats. 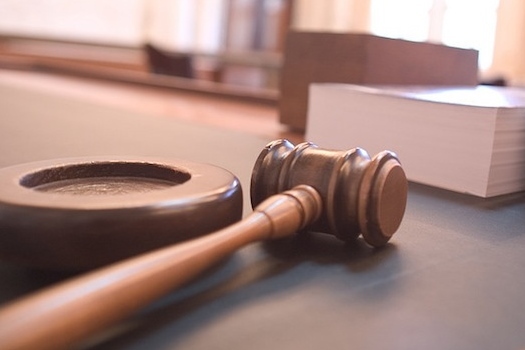 The world’s largest Chabad yeshiva in Tzfat, which boasts over 500 students, will likely be forcibly evacuated by court order next week, the Behadrei Haredim website reported. The Chief Rabbi of Russia, Rabbi Berl Lazar, made a very unusual visit today. 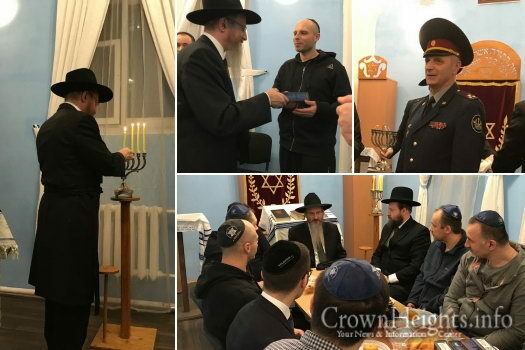 He went to the Butirsky Prison in the center of Moscow in order to strengthen and encourage the Jewish prisoners who are serving time there amongst the three thousand prisoners of various backgrounds. With all the crazy latke ideas out there, some times you just want to keep it simple. 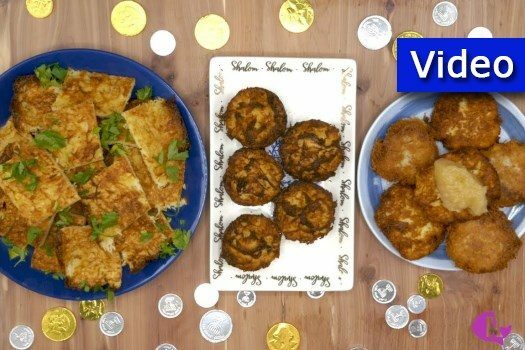 These three easy latke methods will have you eating delicious potato goodness in no time. Just in time for Chanukah comes the latest upbeat release from the Holocaust Survivor Band, a triumphant song of survival titled ‘Let the Light Shine On.’ With music and lyrics by prolific songstress Cecelia Margules, Let the Light Shine On pairs Israeli superstar Gad Elbaz with concentration camp survivors Saul Dreier, Ruby Sosnowicz, and the newest member of the team, Morris Dan, as they take their uplifting message to the Brandenburg Gate, once a symbol of Nazi power. 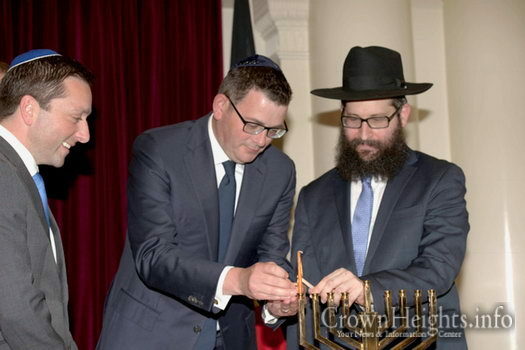 Chabad of Melbourne’s Central Business District (CBD), led by Rabbi Chaim Herzog, held their annual Menorah Lighting on Wednesday at the Victoria Parliament House, with the attendence of dignitaries, officials, and members of the local Jewish community. Dr. Yitzchok Block (1930-2017) was a professor of philosophy and Chabad campus emissary at the University of Western Ontario, in London, Canada. 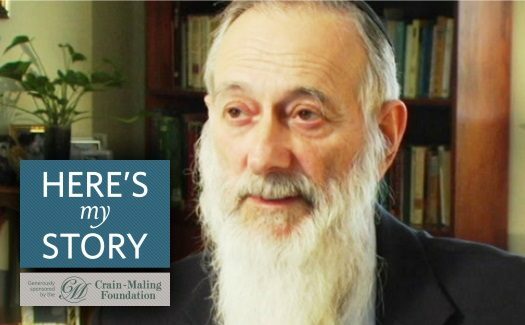 He was interviewed by JEM’s My Encounter with the Rebbe project in February of 2008. 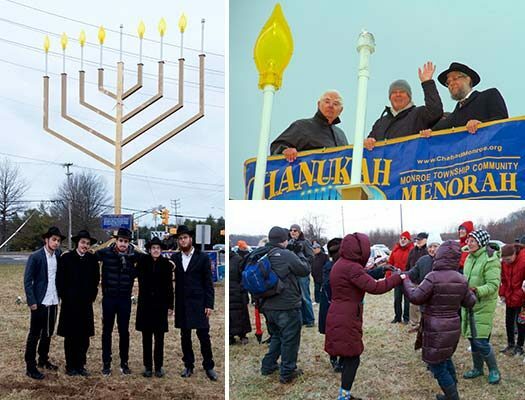 Monroe residents celebrated the first night of Chanukah with a large celebration featuring the state’s largest menorah.